I decided to continue sewing the paper pieced wreaths since I sewed two extra of the same piece. Why not finish them? 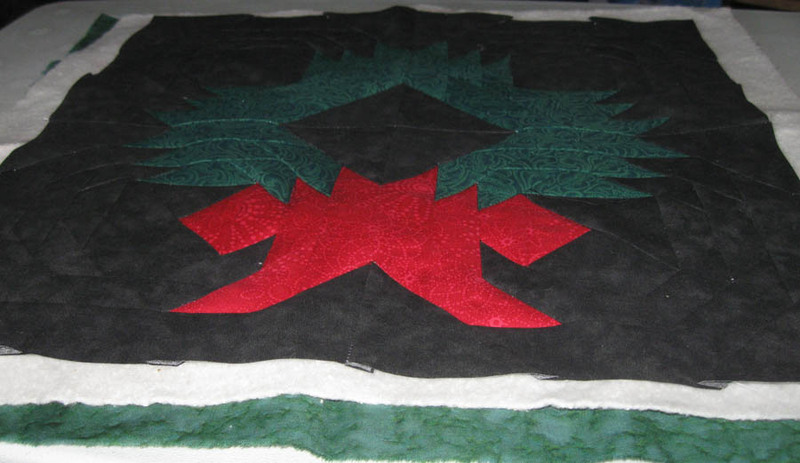 I decided I'm giving the wall hangings as gifts to a few people. 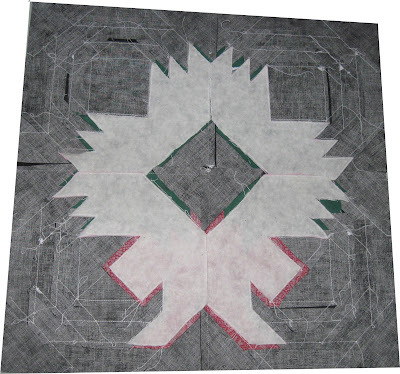 The paper piecing goes pretty fast the more you do it. 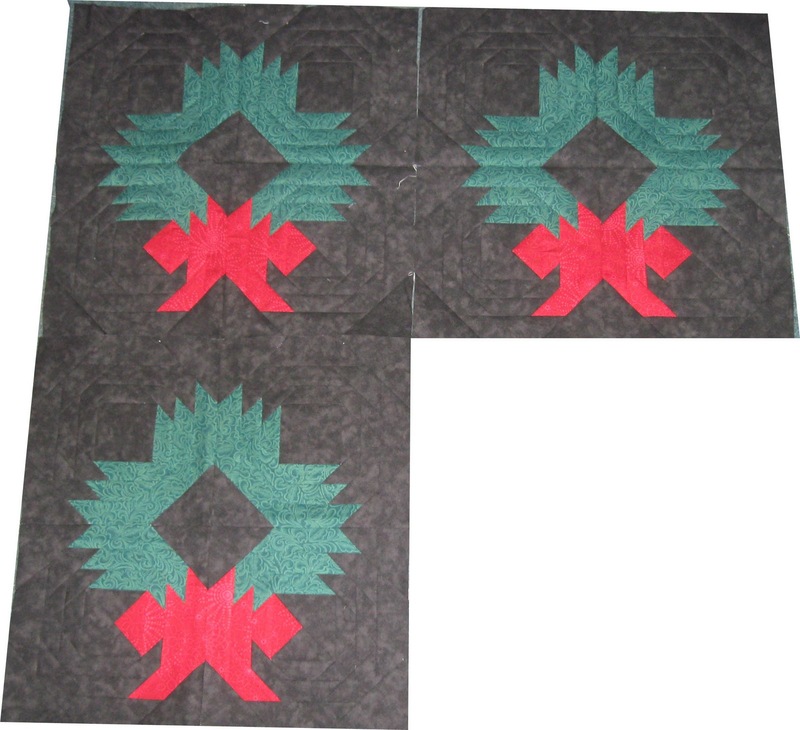 I was able to complete three wreaths. I had this idea to try something I have not done in the past yet. I thought, what if I put an extra layer of batting under the wreath to make it a little "puffy" in the wall hanging. Ok so I think the official terminology is trapunto. So, here's how I went about doing it. It worked for me and I plan on doing this more in the future. 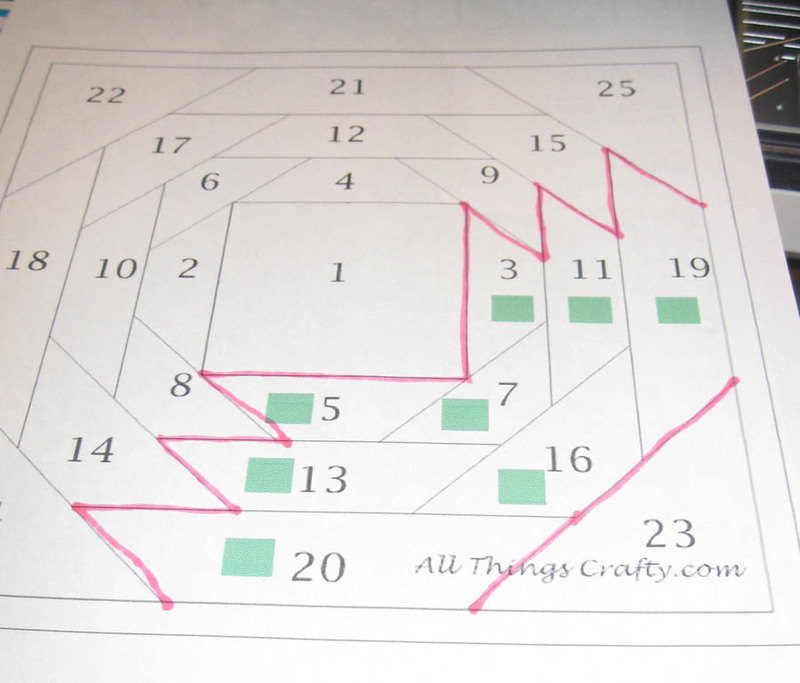 I reprinted the patterns and then traced the area where I wanted the extra batting. 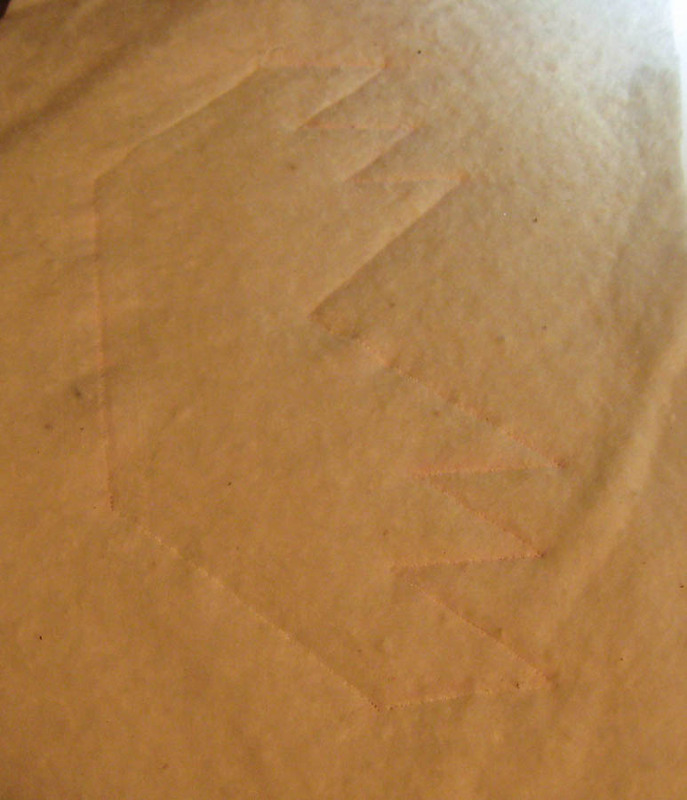 I pinned a piece of scrap batting on the back of the pattern and then sewed on the traced lines. I then cut out each piece and then removed the paper pattern from the cutout. I added each piece to the back of the wreath wall hanging and used a little 505 temporary spray to hold them in place. 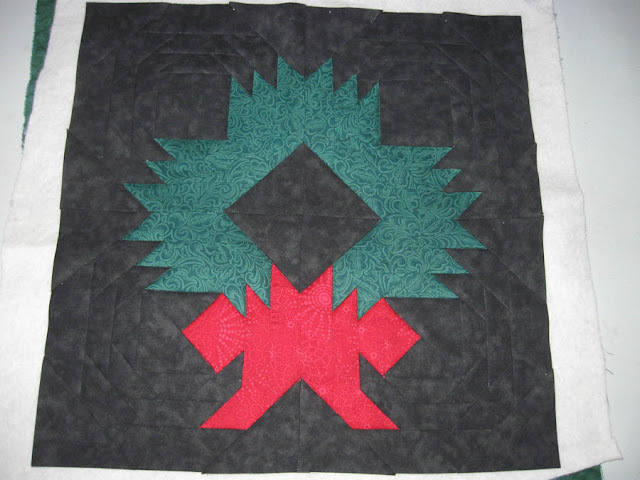 Off to finish two more wreath hangings. Don't forget, you can download the pattern for free on my previous entry.